Donate clothing, household item donations, and furniture donations to Volunteers of America of Michigan by scheduling a Michigan donation pick-up. Donation Town gives you all the information you need to schedule a donation pickup. 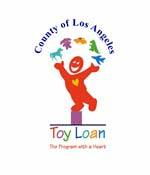 Simply enter your zip code on the donation pick up scheduling webpage. Volunteers of America is a nationwide, faith-based organization committed to helping men, women and children in need to reach their fullest potential. Volunteers of America of Michigan focuses on highly at-risk groups such as youth, the elderly, disabled individuals, ex-prisoners, recovering addicts, and the homeless. Volunteers of America Michigan offers countless programs and services to serve those in need. To help fund Volunteers of America programs, they collect your clothing donations and household item donations to sell them back to the public at low cost in their thrift stores. You can schedule a household item donation or clothing donation pick up for the Volunteers of America Michigan thrift stores online. 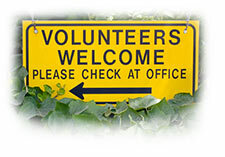 Donation Town is your resource for information about Volunteers of America of Michigan donation pick ups! Volunteers of America of Michigan accepts a variety of household items and clothing. Items are are sold in the Volunteers of America Thrift Stores in Lansing, MI to raise money to help support the programs offered by Volunteers of America of Michigan. Donate Small Appliances and more! Donation Town will provide you with all the information you need to schedule your Michigan donation pickup. The Volunteers of America of Michigan donation pick up area includes the Lansing, Michigan area and more. Schedule your household item donation pick up online today for Volunteers of America of Michigan! Make your Volunteers of America of Michigan donation pickup appointment online today! Schedule a Volunteers of America of Michigan donation pickup with just the click of a button. You should receive a tax deduction receipt for your household item donations upon your Volunteers of America of Michigan pick up. Your donations should be tax-deductible (consult your CPA to be sure!). Schedule a Volunteers of America donation pickup online today! The less fortunate all over Michigan need your help!